Some months—some years—start out just right. Last week, I was checking in on Facebook when I saw a note on my Wall from Blair Underwood’s publicist: CONGRATS ON THE IMAGE AWARD NOM!!!! She said Blair Underwood, Steve and I had received an NAACP Image Award nomination for In the Night of the Heat. 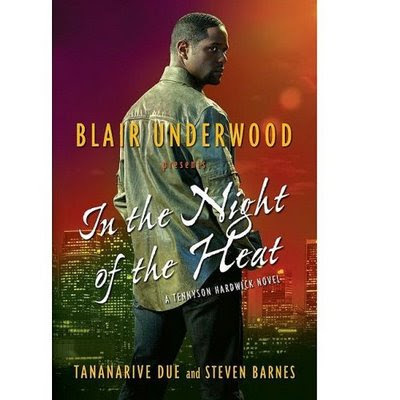 I received TWO nominations: for In the Night of the Heat, my mystery collaboration with Blair and my husband, Steven Barnes--AND Blood Colony, the latest in my African Immortals series. I am grateful beyond expression. It’s not just a feeling of affirmation after years of walking a difficult literary road. It’s not just that In the Night of the Heat celebrates my 10-year life partnership, and creative collaborations, with the wonderful Steven Barnes. Or that it’s a sign that our partnership with the talented Blair Underwood is bearing fruit, helping pave the way for the movies we all crave. It’s much deeper than that. When I was growing up, my parents used to pack us up every summer to attend NAACP national conventions. 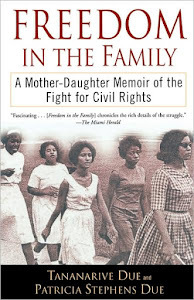 I was raised on the oratory of Benjamin L. Hooks and Ted Kennedy, and on NAACP picket lines. As a high school student, I was a winner in the NAACP’s academic competition—the Afro-Academic, Cultural, Technological and Scientific Olympics, or ACT-SO, founded by Chicago columnist Vernon Jarrett. Each summer, I swam in a sea of brilliant high school students of color from around the nation, and we nourished each other’s dreams. The NAACP’s ACT-SO is one of the finest youth programs there is. And, as the former president of the Greater Miami NAACP Youth Council, I know my NAACP history: The interracial civil rights organization was founded 100 years ago, in 1909. Frankly, it all just takes my breath away. And this is a month that is already full of might. A presidential candidate who electrified my imagination since the day in April 2007 when I heard him speak at my church, First AME Church of Los Angeles, is about to be inaugurated the first black president: I am rarely right about any sweeping predictions, but I knew Barack Obama could win that day. I was so sure, I typed a transcript of his speech and sent it to my friends—and later posted it on my blog [1/7/08]. On election night, a shout of joy in my parents’ living room echoed against the framed plaques and newspaper articles that bespoke the price of the journey. A television screen as big as life proclaimed it: PRESIDENT-ELECT BARACK OBAMA. On some level, I still don’t believe it. This weekend, my parents and one of my sisters will meet me in Washington, D.C., for a family sojourn to the place where history will be engraved forever. None of us has a ticket to the actual Inauguration—not yet—but we want to breathe the city’s air that day. Together. Even in these very scary economic times, it all feels like riches beyond measure. And thank you, readers, for the honor of telling you stories. Congratulations on the award nominations! Looking forward to seeing you again, perhaps in 2009. Since you mentioned Facebook, I hope it's okay to look you up there. I knew that Obama would win simply for making it out of Chicago unscathed. Chicago politics is a brawl. I knew that he would take down Billary (Bill and hillary) who were a greater threat to his chances than McCain. I am also surprised that you have a Facebook page. I see that you are pretty hip to this Web 2.0 thing.